There’s nothing more personal than a Club Flyer to advertise your holiday event in advance. Generate great seasonal attendance for your event when you send out Snowflake Ornament Club Flyers to your guest list. Each one has a light, wintery background, and features three beautiful ornaments made out of red and green snowflakes. 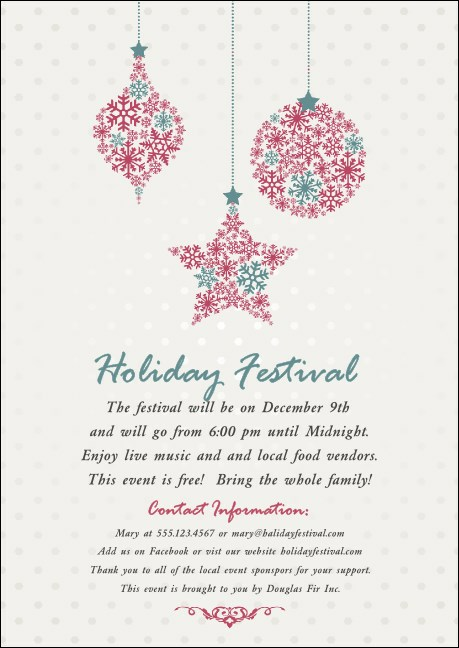 Let TicketPrinting.com give you the gift of great holiday event advertising.